Is the Best Home Improvement Upgrading Your Community Streets to Interlocking Pavers? With the community’s asphalt lifespan reaching its end, the Corsican Villas Board Members needed to evaluate replacement options. After a thorough lifecycle cost analysis and property value analysis, the board chose to resurface the community’s entry, streets, and driveways with beautiful European style interlocking pavers. 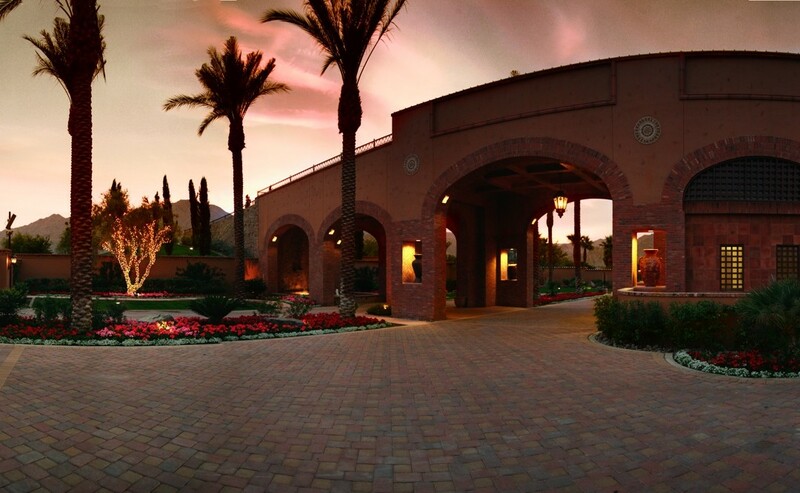 The 130-unit condominium community, located near Ironwood, The Reserve, and the Vintage in South Palm Desert, on land originally owned and developed by Bing Crosby between 1963 and 1973, is a culturally iconic desert neighborhood. You never get a second change to make a good first impression, and when it comes to home value this is especially true. Years ago it was commonly thought that the kitchen and bath were the most important place to put your money when remodeling to increase the value of your home. In the past decade however, that has changed and almost every expert’s recommendations (including an article in the Wall Street Journal) now starts with curb appeal at the top of the list. California contractor Charissa Farley told how she’s successfully taken on different market segments that don’t typically use pavers. Since the 1970’s Farley Interlocking Pavingstones has designed and installed custom paving solutions for developers, builders, HOA’s, contractors, landscapers, pool companies and homeowners. We look forward to hearing from you!